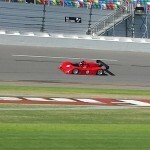 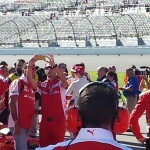 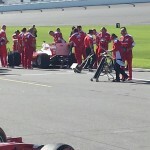 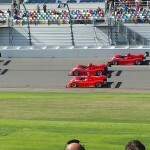 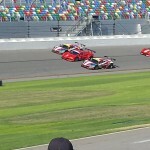 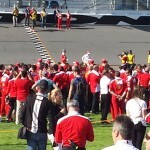 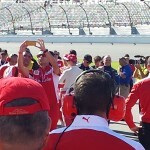 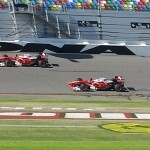 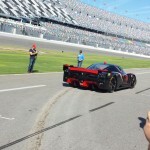 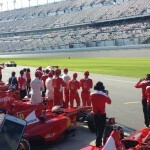 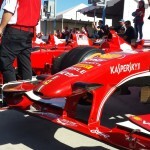 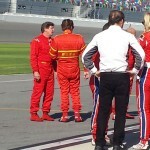 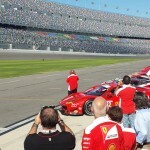 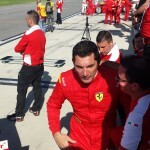 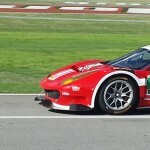 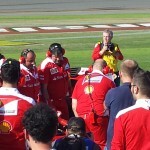 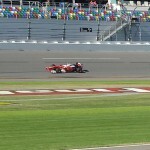 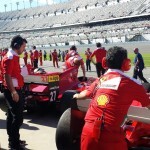 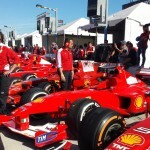 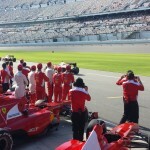 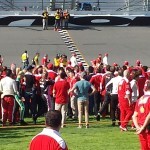 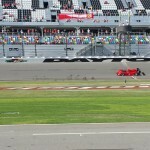 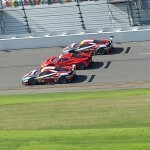 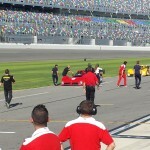 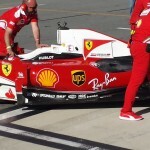 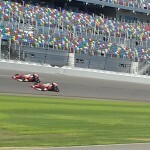 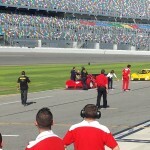 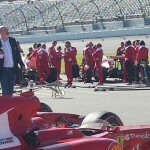 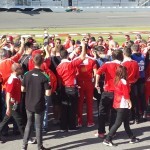 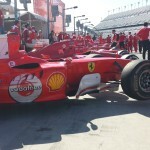 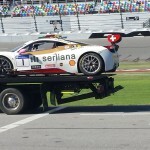 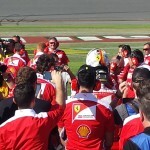 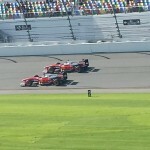 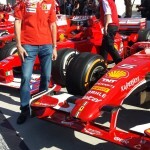 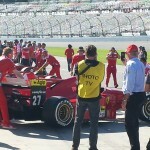 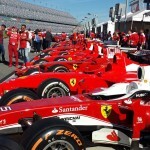 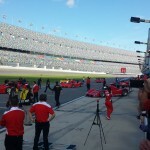 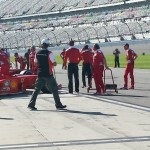 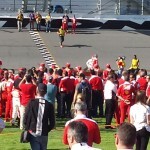 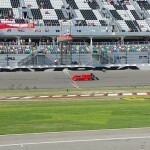 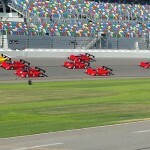 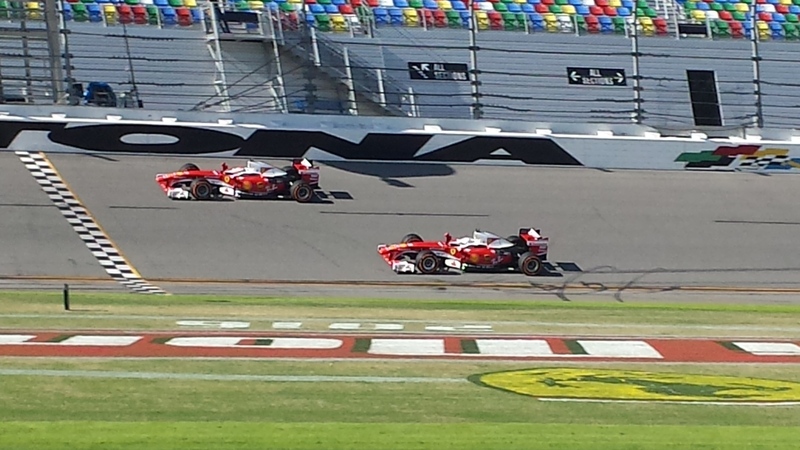 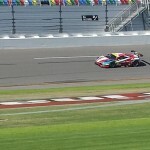 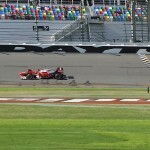 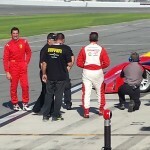 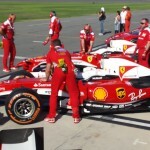 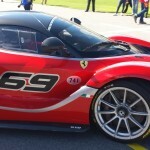 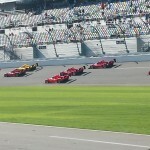 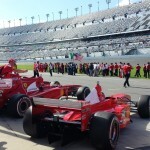 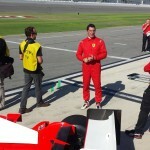 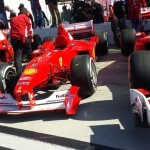 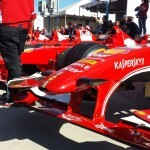 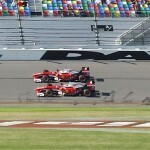 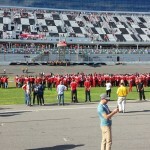 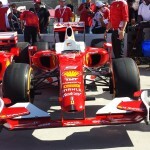 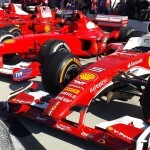 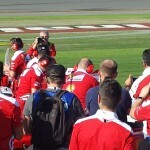 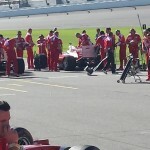 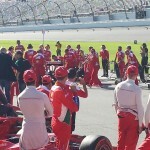 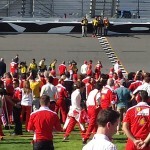 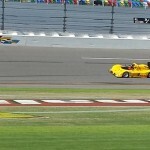 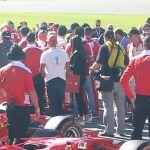 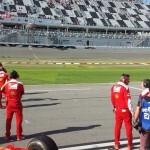 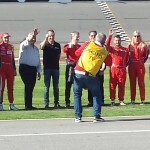 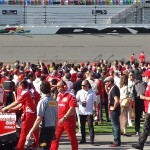 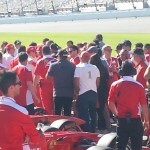 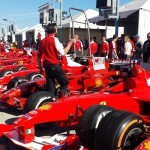 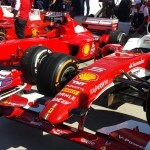 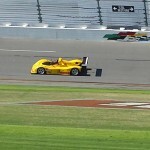 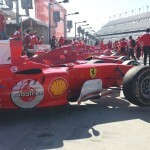 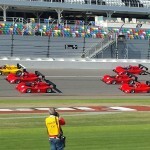 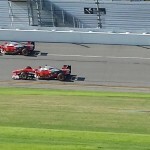 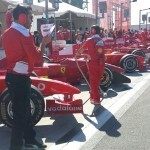 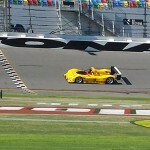 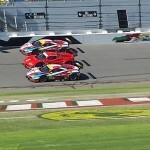 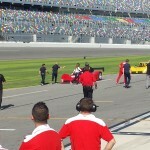 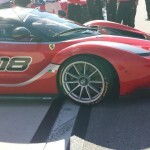 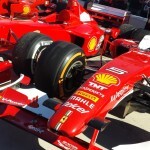 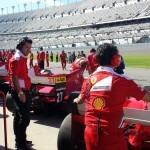 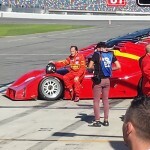 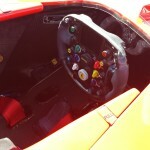 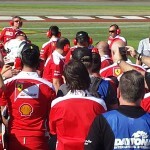 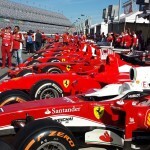 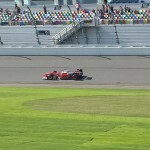 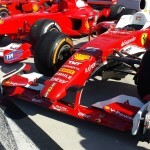 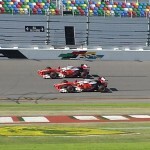 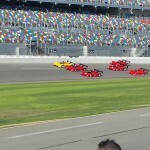 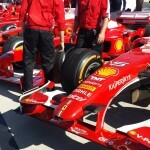 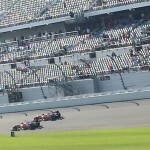 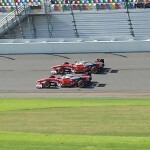 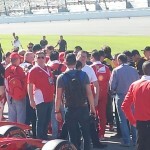 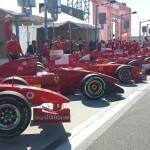 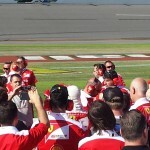 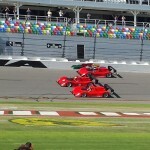 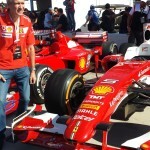 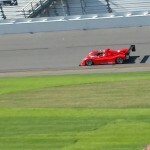 DAYTONA BEACH, Fla. -Five days of Ferrari fun ended at Daytona International Speedway Sunday. 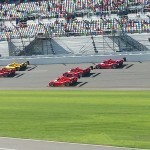 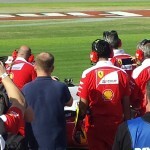 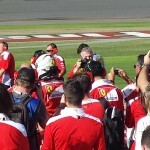 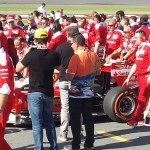 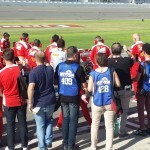 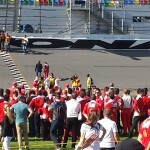 The first Ferrari World Challenge Finals took place at the historic speedway for the first time ending with great racing and a demonstration by Ferrari Formula 1 drivers Kimi Räikkönen and Sebastian Vettel. 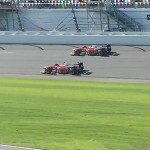 In the two 35-minute races. 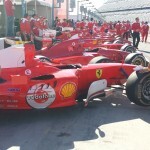 German driver Thomas Loefflad won the Coppa Shell event and Venezuelan Carlos Kauffmann took the Trofeo Pirelli victory. 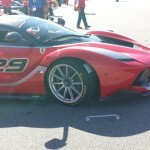 Rusty Wallace, the 1989 champion of NASCAR’s premier series and a NASCAR Hall of Fame inductee, came out of retirement for the weekend and finished 10th in the 27-car Trofeo Pirelli field, driving for the Risi Competizione/Ferrari of Houston. 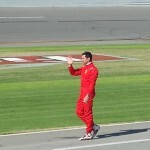 He finished third in the Professional, North America class. 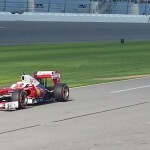 Overall during the weekend, Wallace posted 15th and 32nd-place results, the latter due to brake problems late in the race. 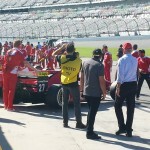 “I told myself that after the struggles we’d had, that if I could walk out with a solid top 10 in the finals I’d be happy,” Wallace said. 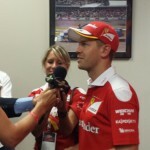 “The team did great and I learned a ton. 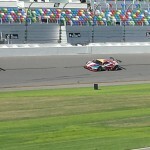 We’ve been here five days, run 1,000 laps and we don’t have a dent on the car. 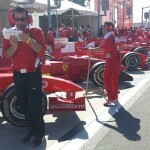 To end the five days, the Formula 1 exhibition left fans cheering as the speedway echoed with the sounds of F60s. 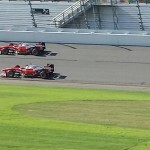 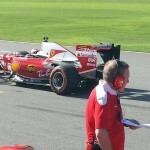 Current Scuderia Ferrari F1 drivers Kimi Räikkönen and Sebastian Vettel drove full-speed laps with tire changes and simulated pit stops culminating with side-by-side burnouts that left a smoke cloud drifting over the huge facility. 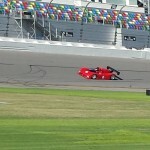 Neither driver had turned laps at Daytona prior to Sunday. 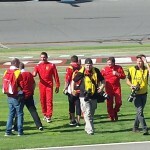 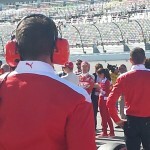 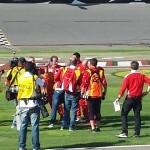 There were even reports that Räikkönen, known as the “Ice Man” had even cracked a smile. 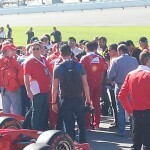 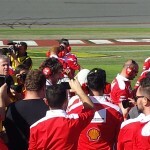 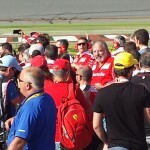 Prior to the exhibition, the drivers were joined by Ferrari CEO Sergio Marchionne and Scuderia Ferrari Team Principal Maurizio Arrivabene for a press conference with both domestic and international media in attendance. 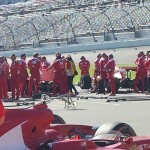 The executives in particular praised the Daytona venue. 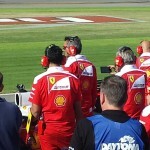 “It’s not insignificant that we are here in the U.S. and holding the finals for the first time in this country,” Marchionne said. 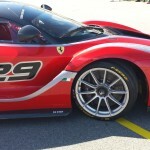 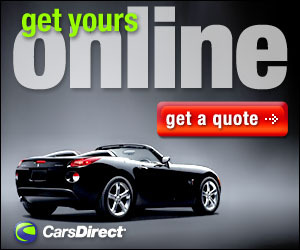 “The U.S. is the single largest market for Ferrari vehicles. 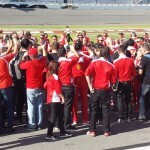 It’s about time we came here and celebrated with our American customers and fans.